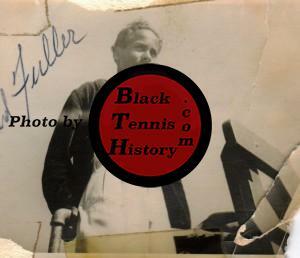 The Caldwell Collection, a series of photos more than 70 years old, is owned, and presented on this website, by Dale Caldwell. 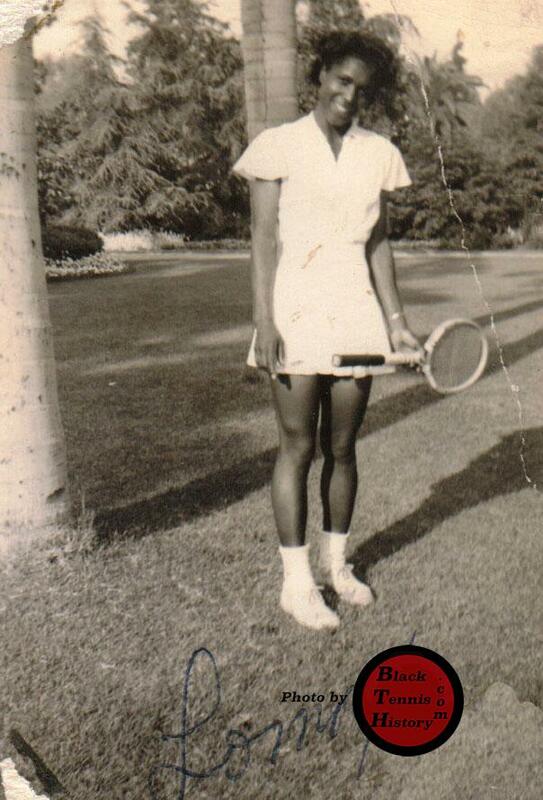 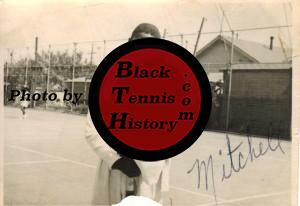 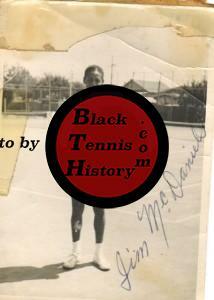 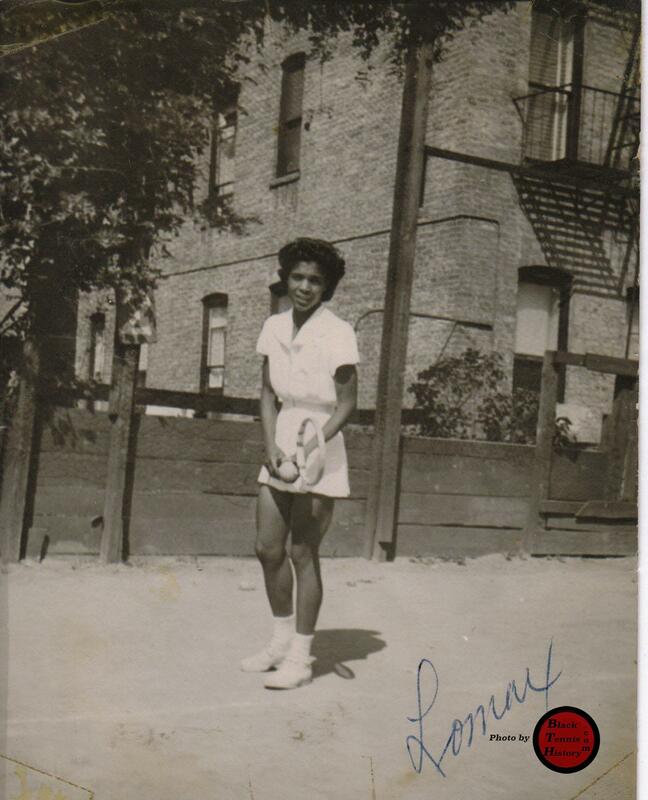 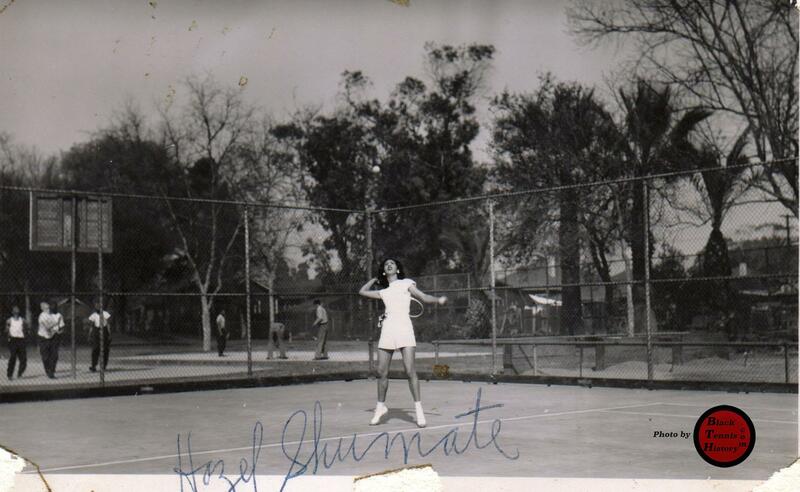 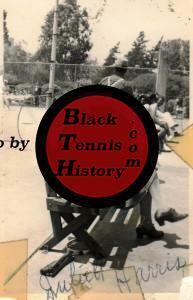 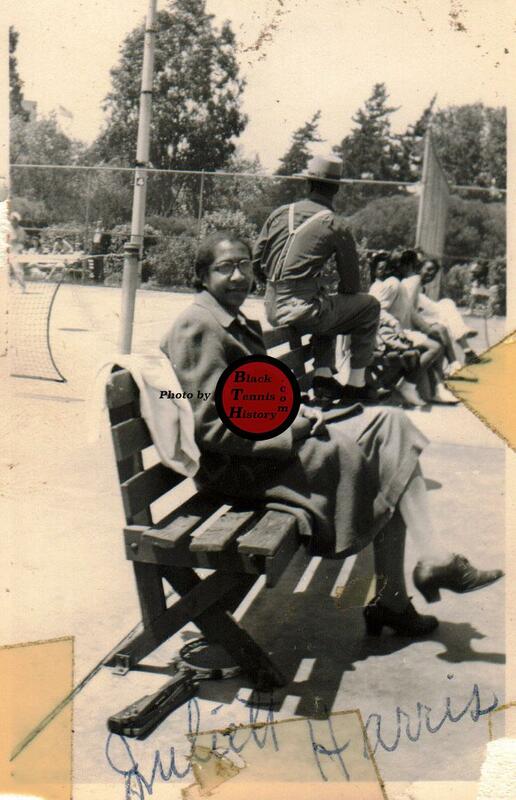 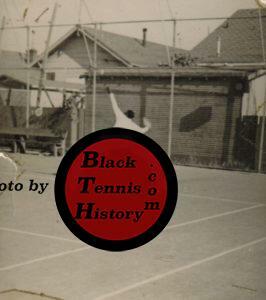 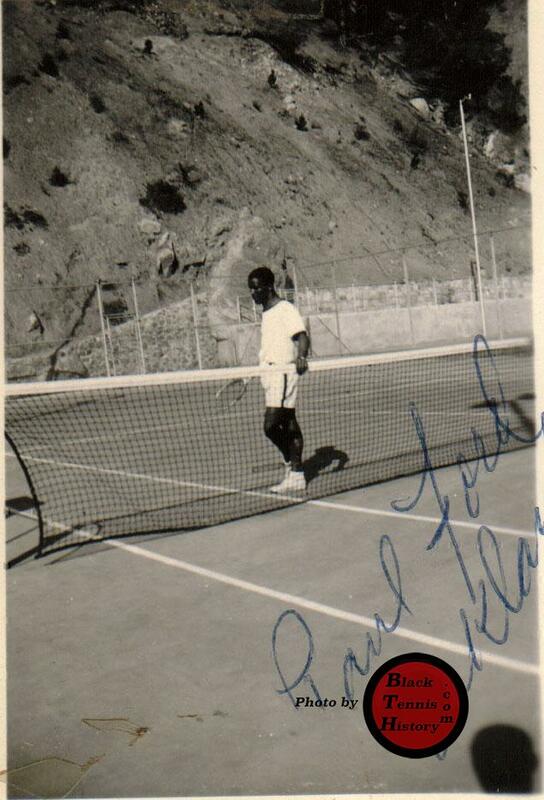 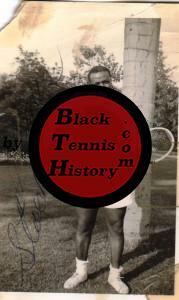 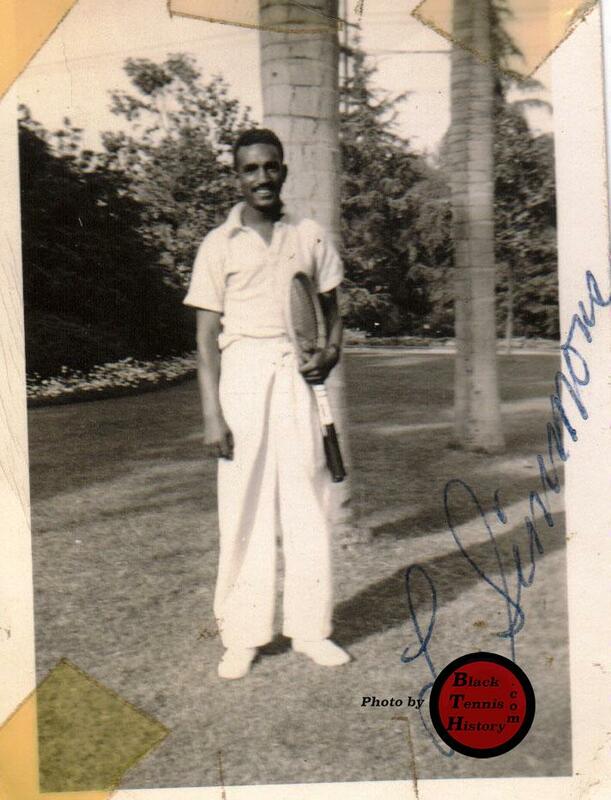 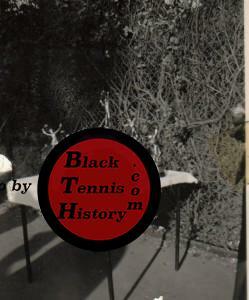 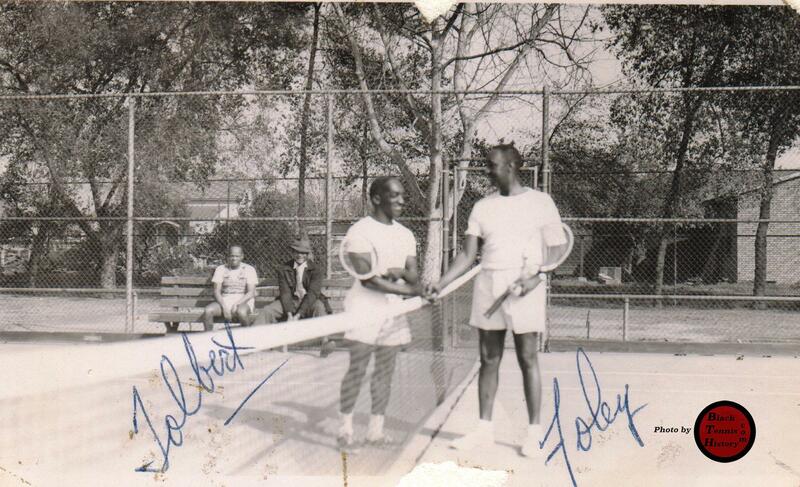 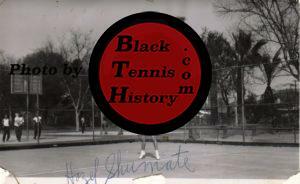 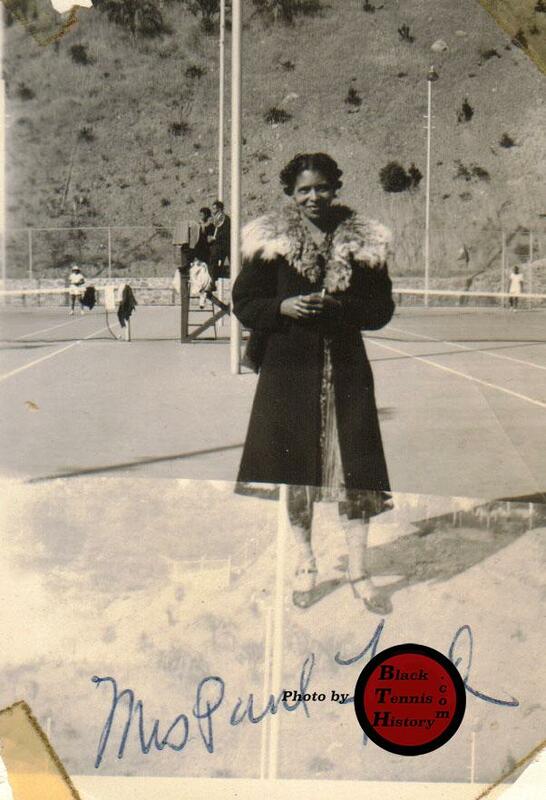 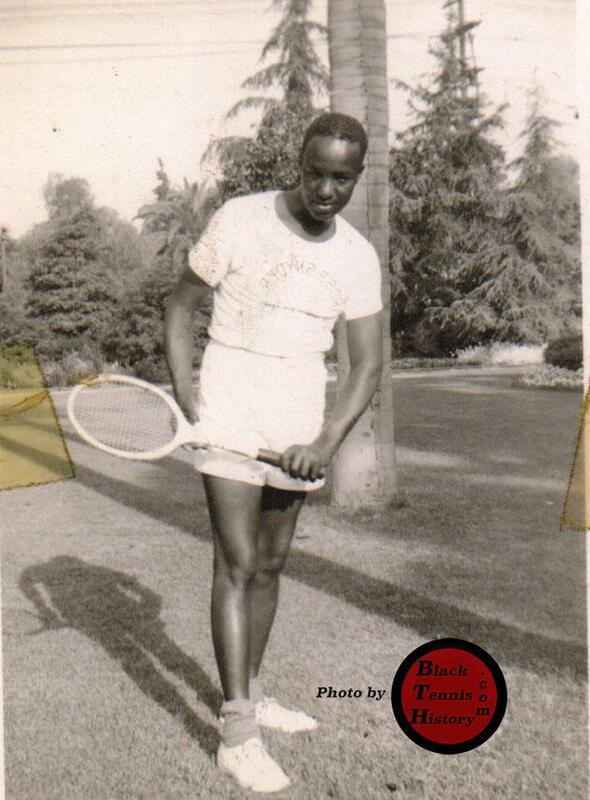 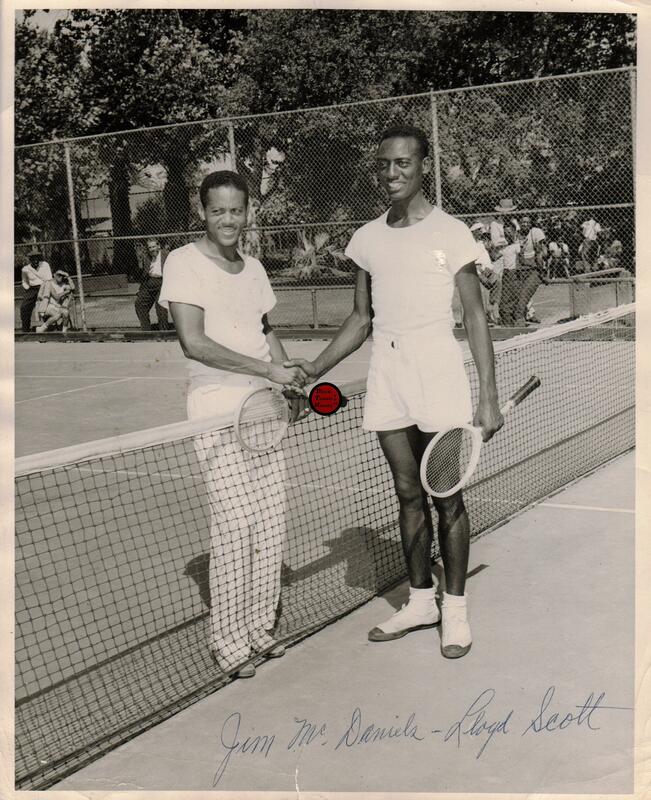 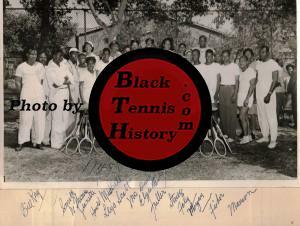 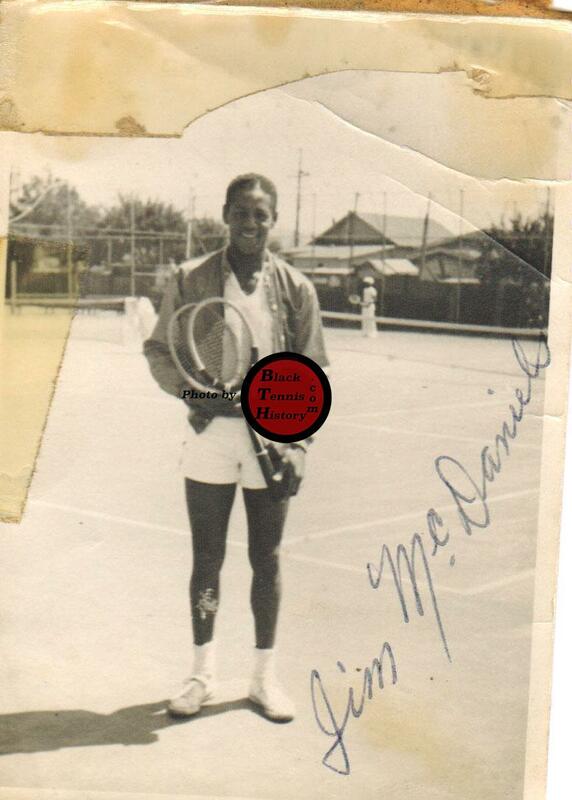 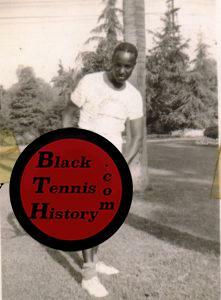 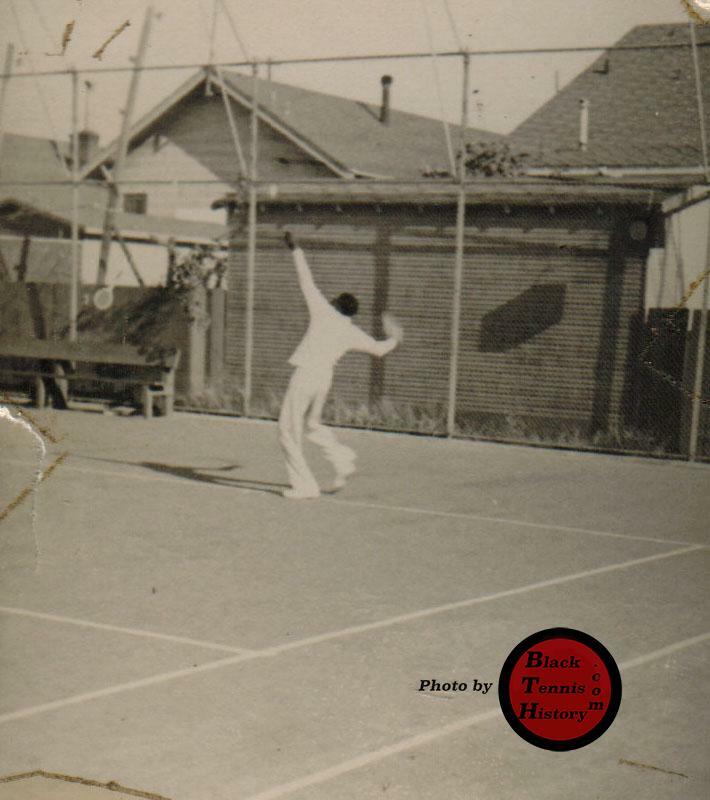 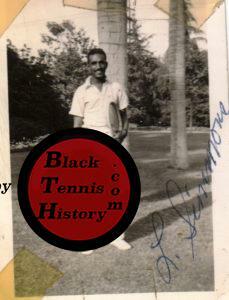 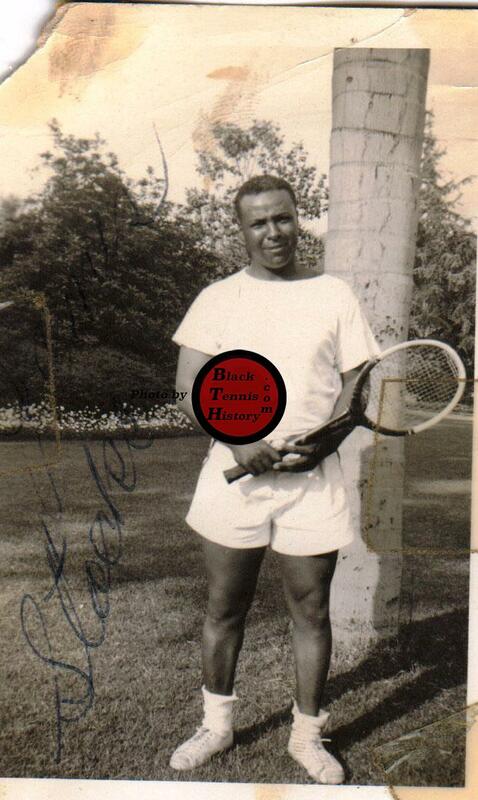 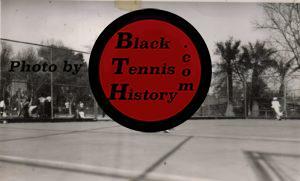 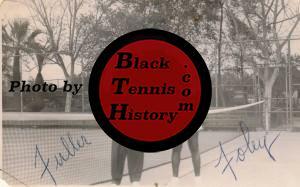 These photos are from ATA member tennis clubs in Oakland, Pasadena and Los Angeles, California taken from 1938-1940. Not all of the individuals shown have been identified. 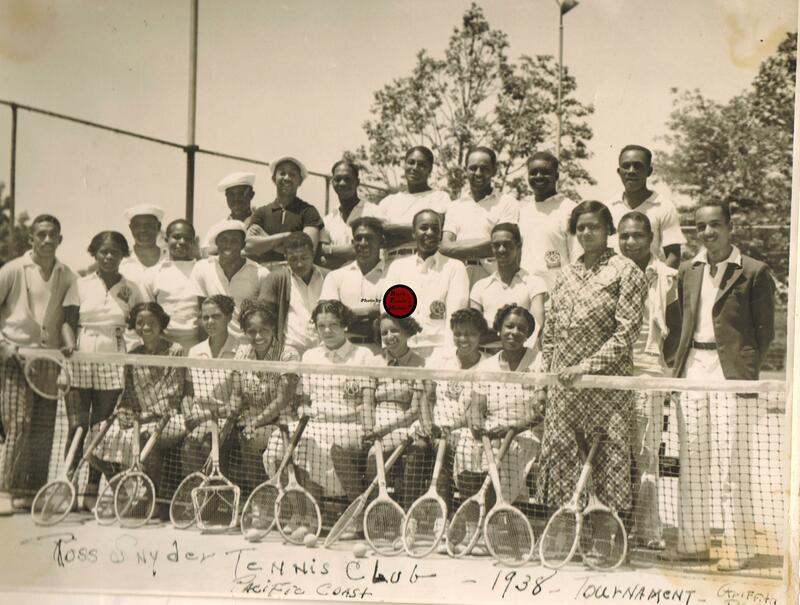 If you can identify any of the individuals – or provide any other illumination, please note the number of the photo and offer whatever information that you have. 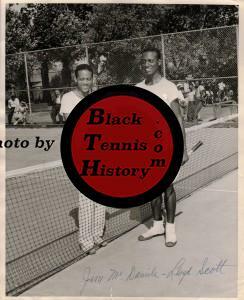 Photo #2 This photo is of tournament finalists Jimmie McDaniel and Lloyd Scott. 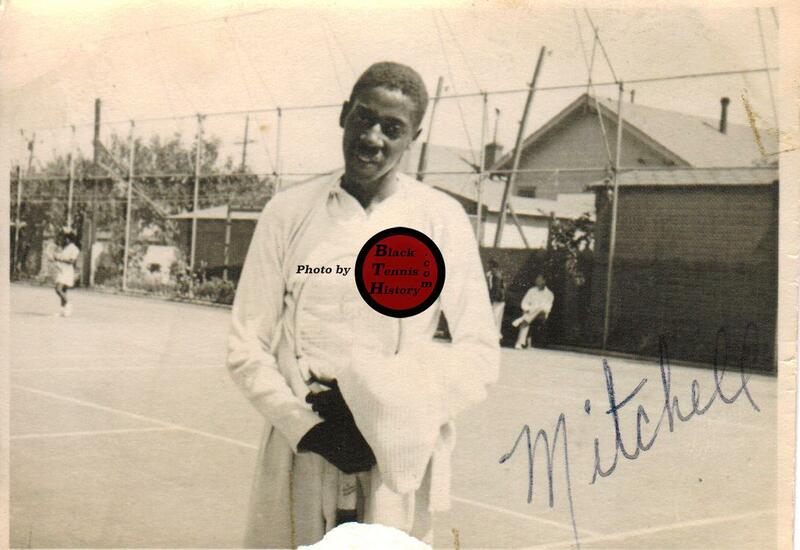 Photo #3 Harold “Schoolboy” Mitchell. 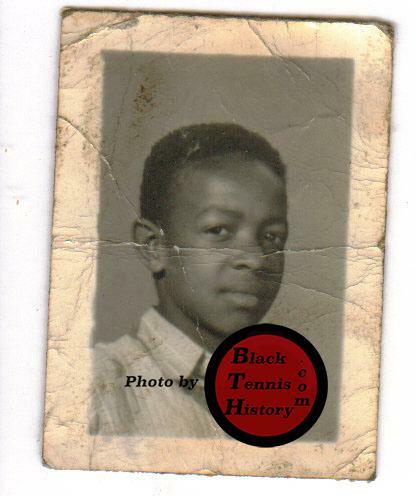 Photo #4 Only identified as “Stocker”. 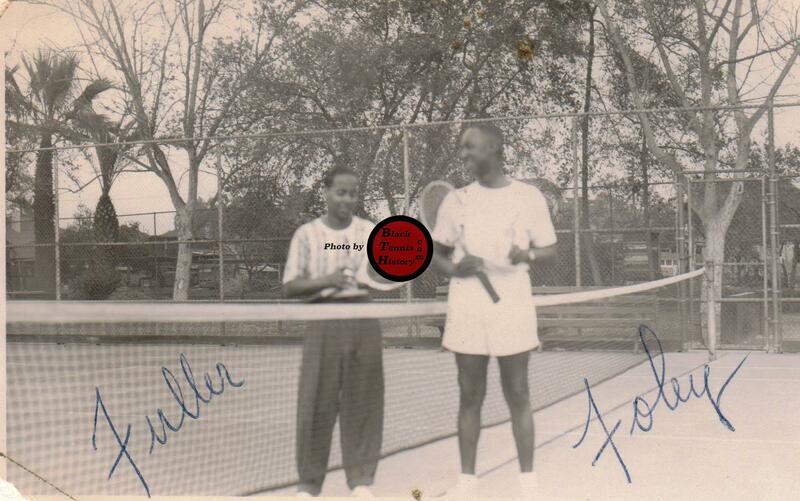 Photo #5 Players Tolbert and Edgar Foley. 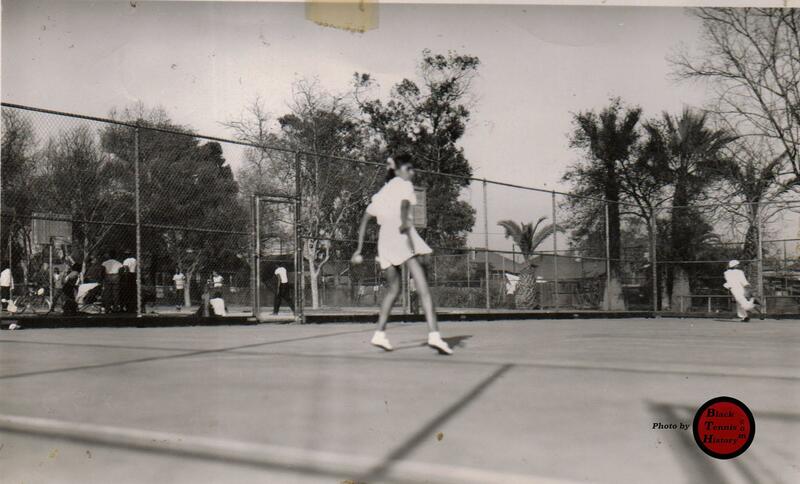 Photo #6 Player serving. 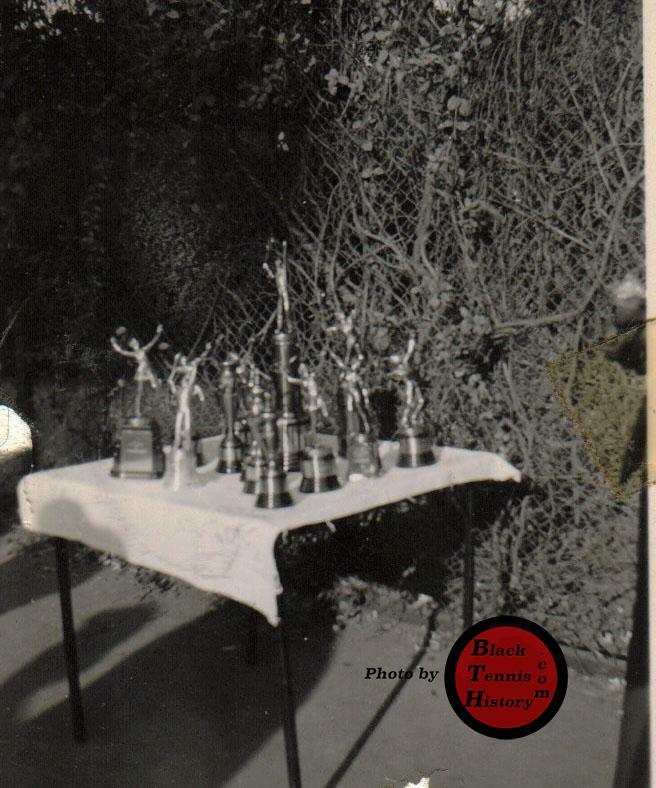 This is what’s known as the “Trophy Stance”. 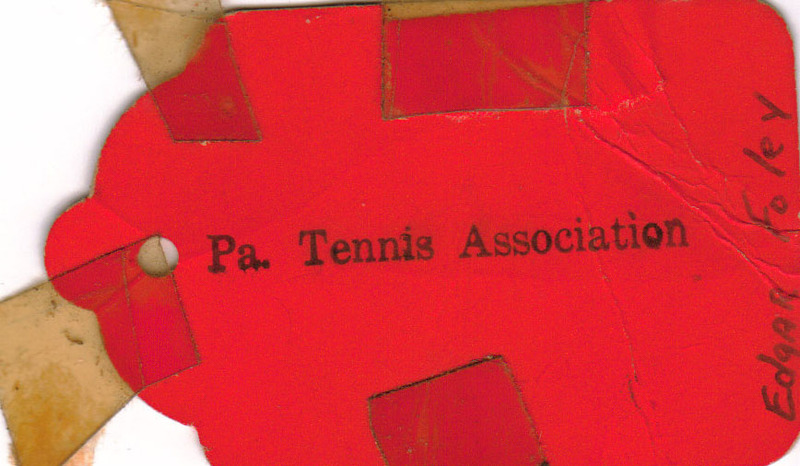 Photo #7 This “Player ID Tag” was issued to Edgar Foley upon arrival at the Pennsylvania Championships in 1939. 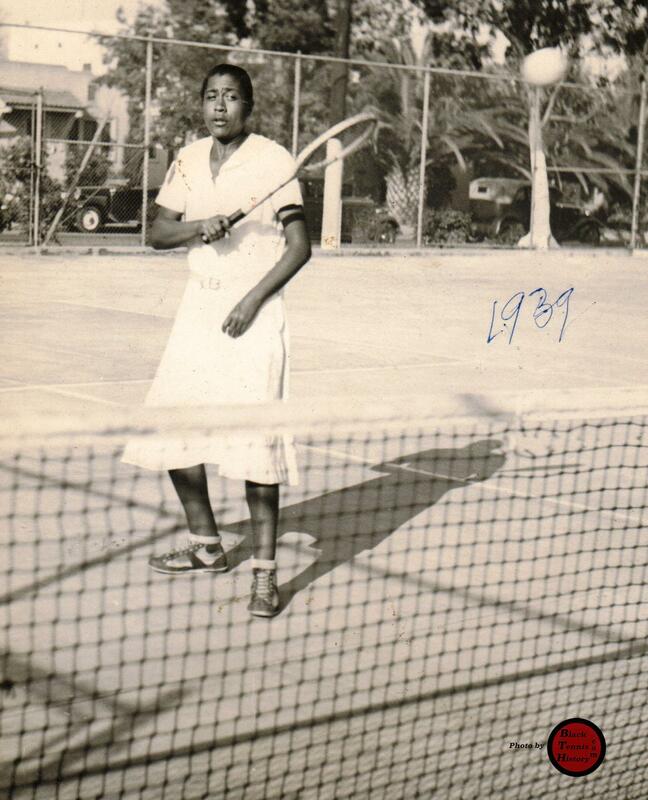 Photo #8 Female player striking a backhand. 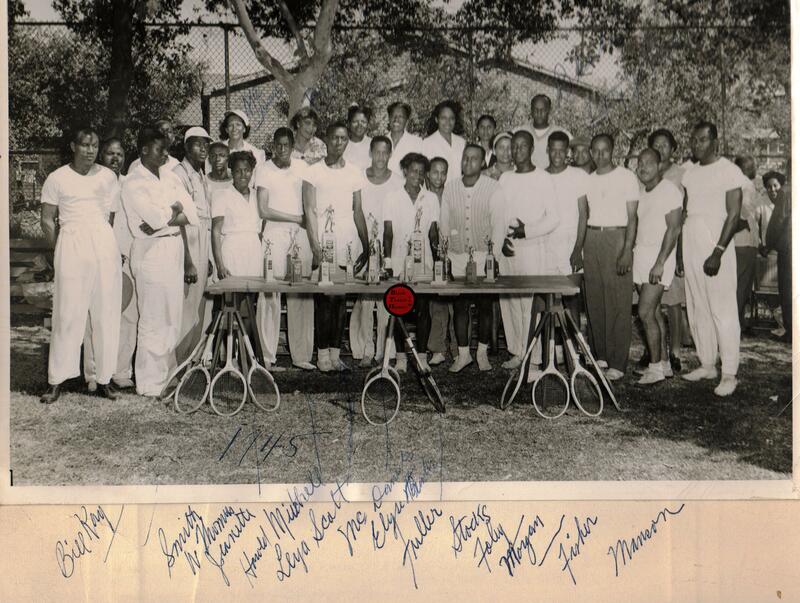 Photo #13 This group photo shows the Western Federation Delegation to the ATA National Championships at Central State University in Wilberforce, Ohio in 1940. 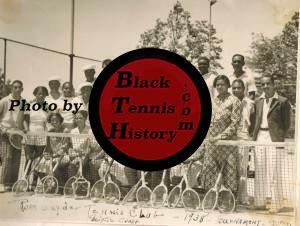 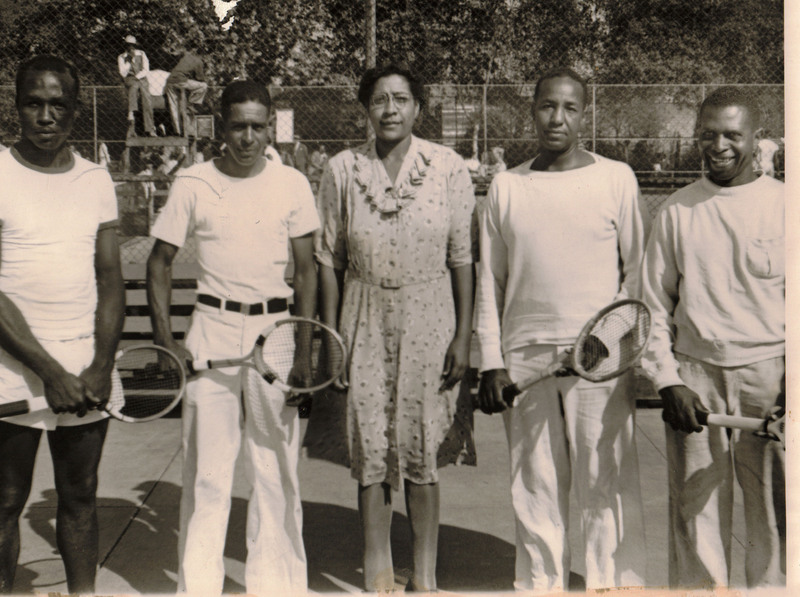 Photo #14 Participants in the Ross Snyder Tennis Club tournament in 1938. 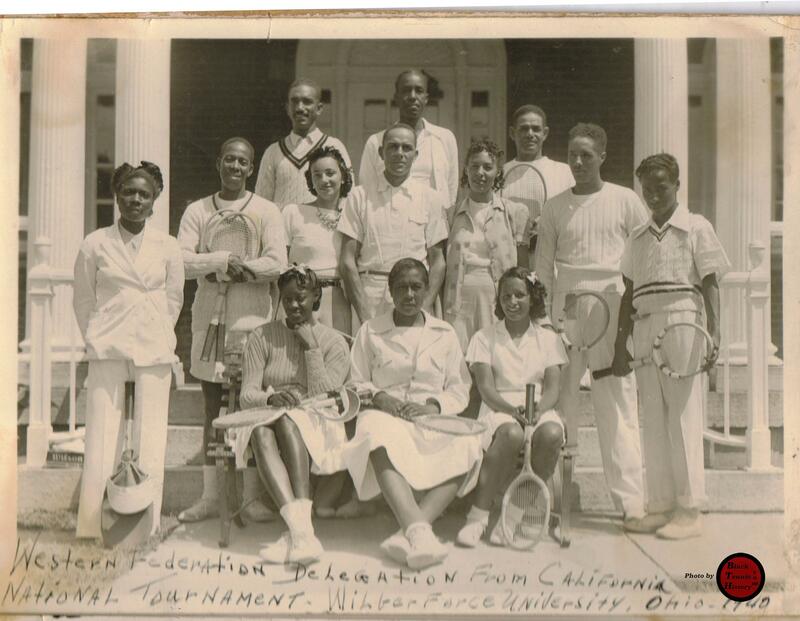 Photo #15 Pacific Coast Tournament participants in 1940. 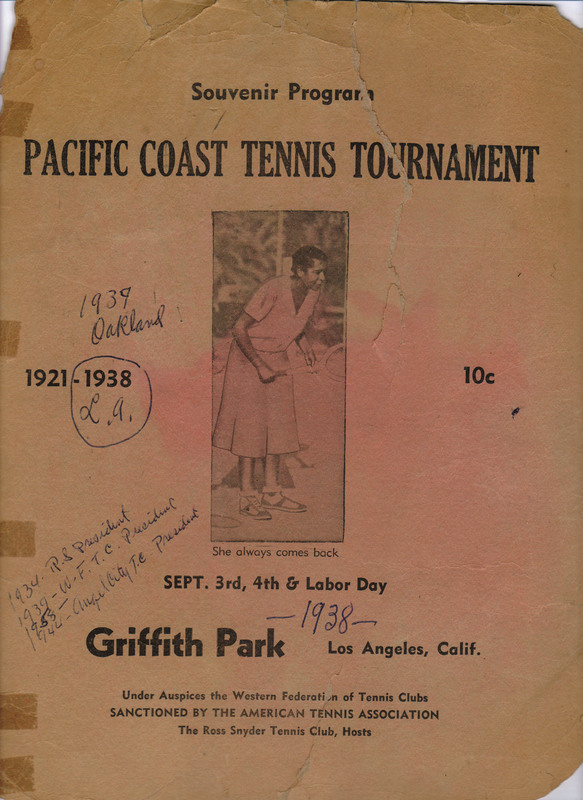 Photo #16 This is a photo of the outside cover of the Pacific Coast Tournament Program in 1938. 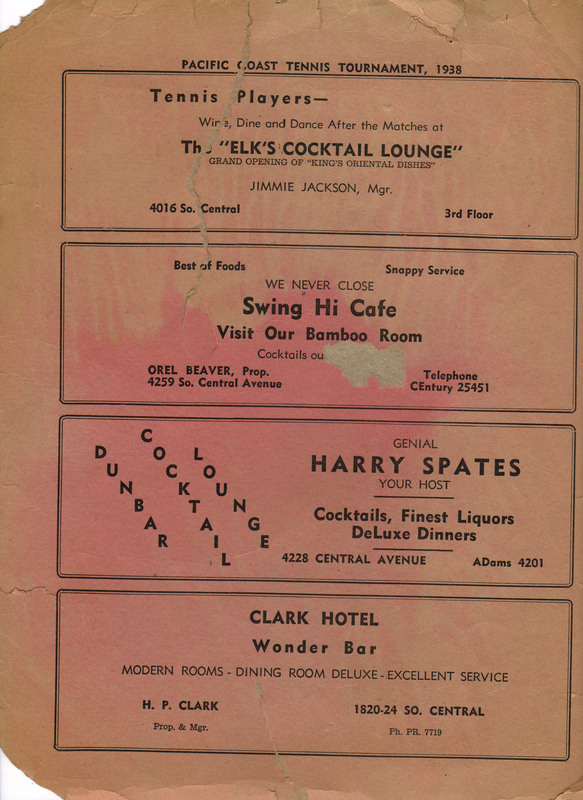 Photo #17 This is a photo of the inside cover of the Pacific Coast Tournament Program in 1938.